With Halloween coming around the corner, are you still stuck at what to wear on that night? Well, if you have searched everywhere and exhausted all your efforts but still can’t decide which Halloween costume to decide, then you are at the perfect place. 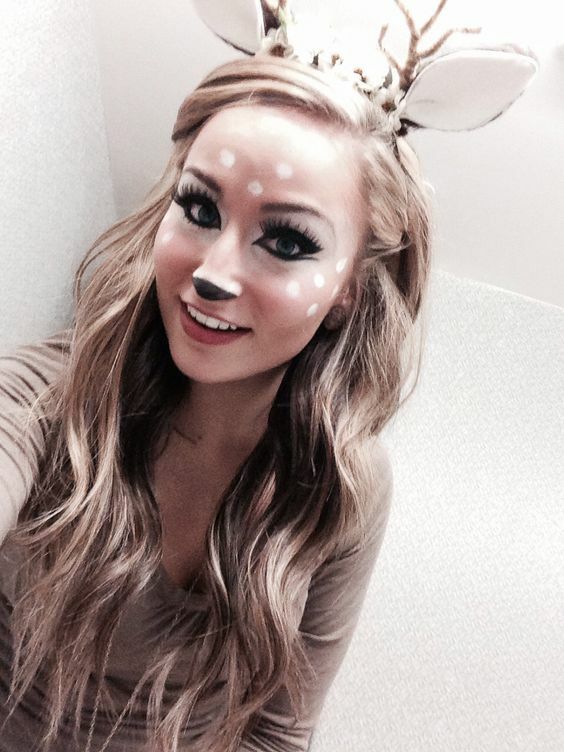 In this post, we present you some of the coolest Halloween costume ideas that you can try this festival season. 1. Most of us remember the story of Snow White and the evil Queen who detested her. 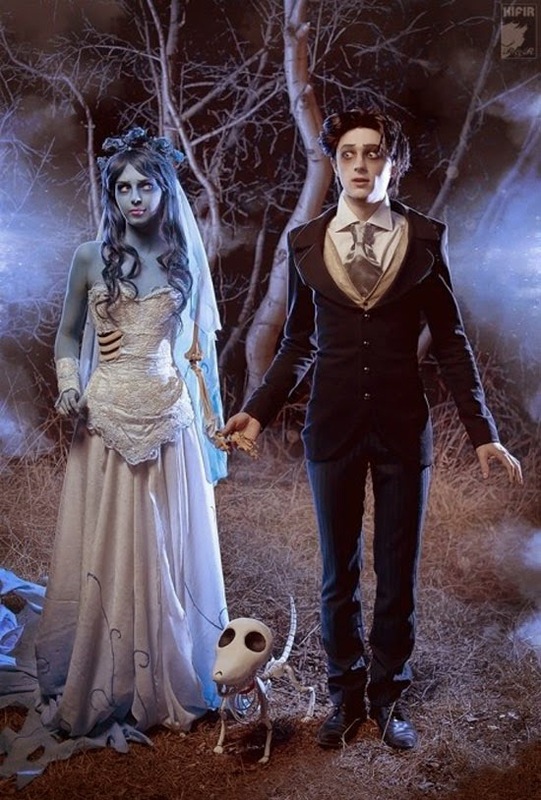 Why not try this couple costume with your soulmate who also happens to be entirely opposite to your nature. 2. 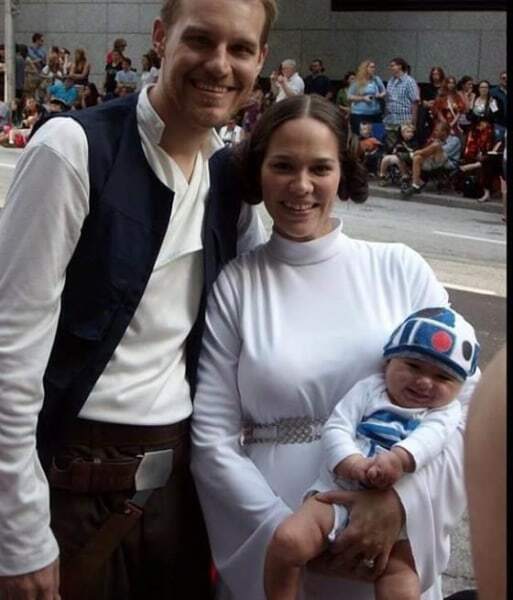 Are you a Star Wars fan and wish to appear like the best fan ever? 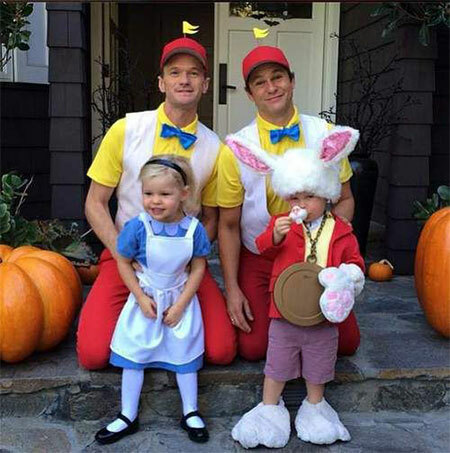 Then you can certainly try this costume in this festive season. 3. 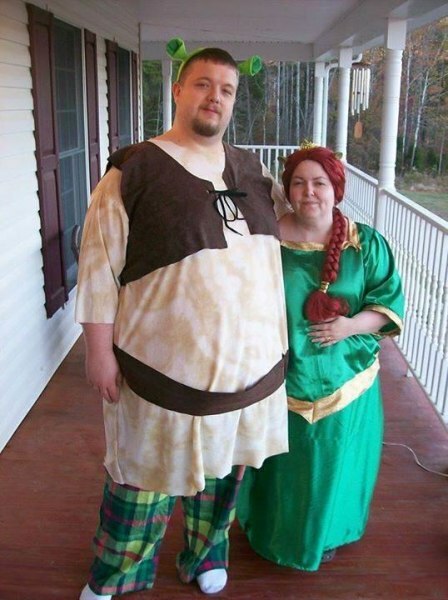 Nothing bring smile to on the face than the ugly Ogre and his queen, Fiona. 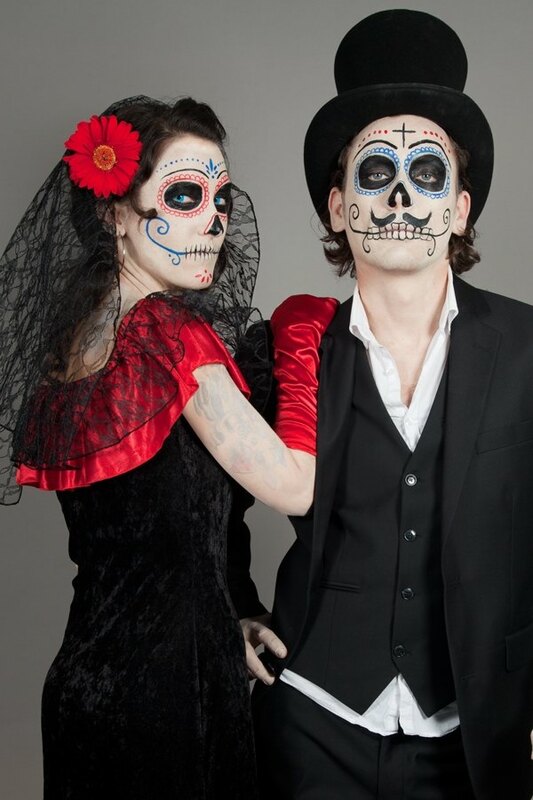 If you are totally psyched about your costume this Halloween, try this couple costume with your better half. 4. Are you a true minion fan? 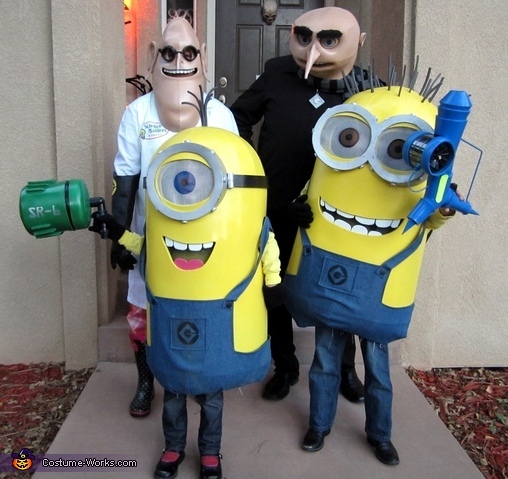 Then look nowhere and try this “Despicable Me” theme costume with your family. 5. 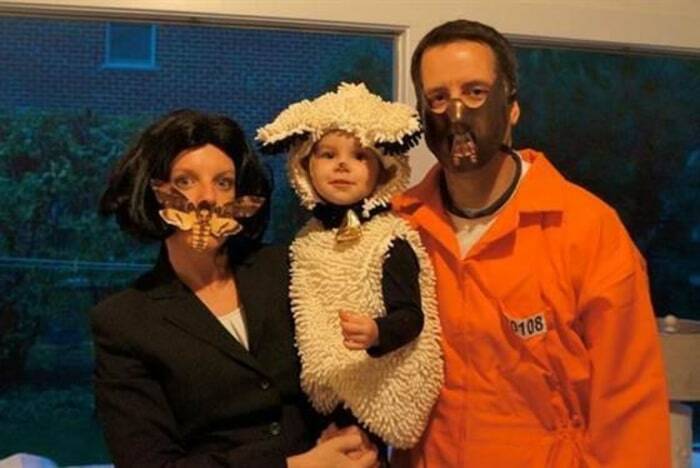 The iconic Hannibal Lecter and the most talked about psycho-thriller movie inspired costumes for family. 6. Nothing beats the Autobot’s leader, Optimus Prime from the Transformer movie series. 8. Remember the awesome thriller series – SAW. Who can forget the Jigsaw. 9. Sometimes it is good to become a scary kid. 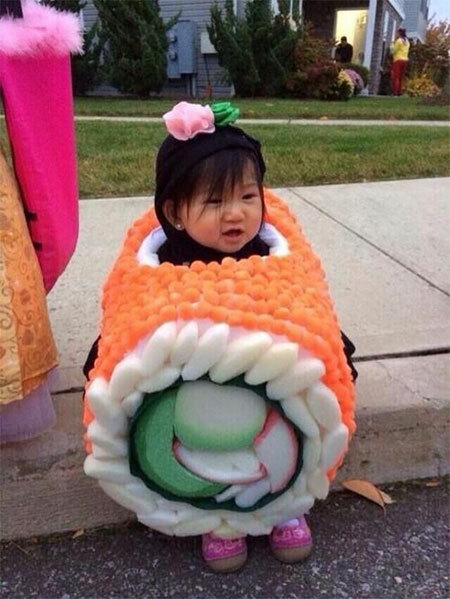 Best costume for kids. 10. Let your kids to get dirty and sometimes become the laundry machine. 11. No matter what your relationship looks like, the death doesn’t sets you apart. 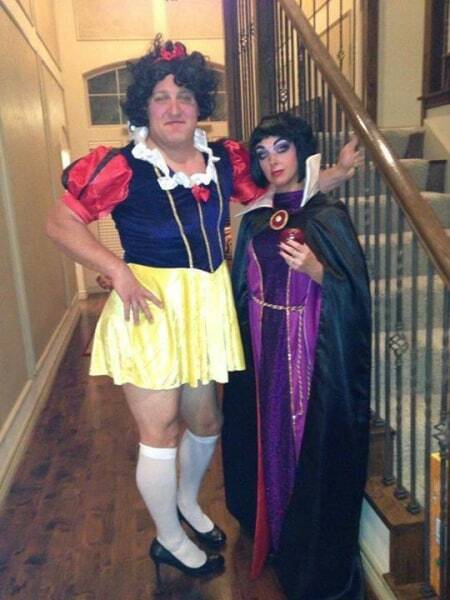 Enjoy this couple’s Halloween costume ideas. 12. 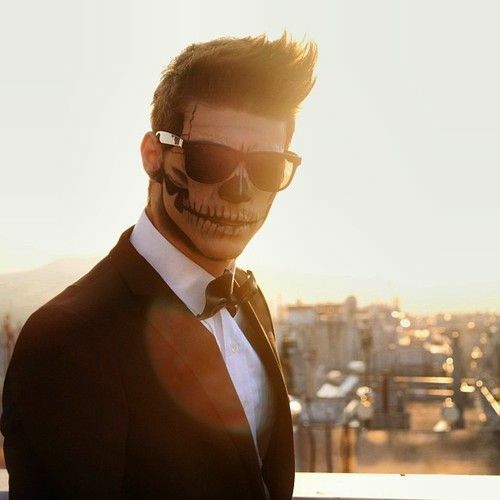 Be the two-face monster and a cruel joke on humanity. Bring out the scarier side of yours. 13. Fork it or Spoon it. Just leave a lasting impression. 14. 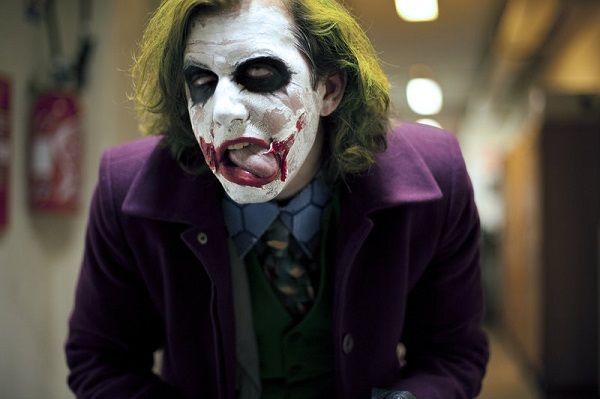 Masks and costumes – best way to hide your sanity and bring out the craziness inside you. 15. Looks quite ready for a movie marathon with popcorns. 16. 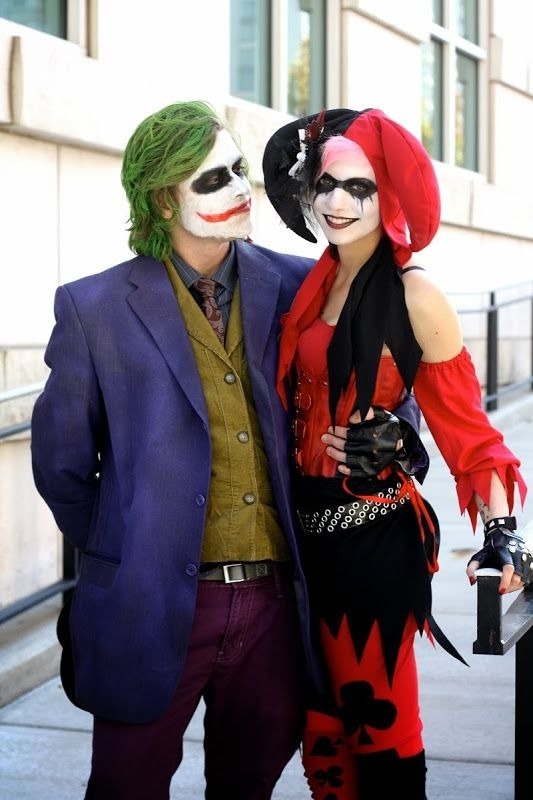 Two –face or Catwoman, Poison Ivy or Harley Quinn – become Batman’s Villains to show the anarchy in the world. Perfect fit for Batman fans. 17. 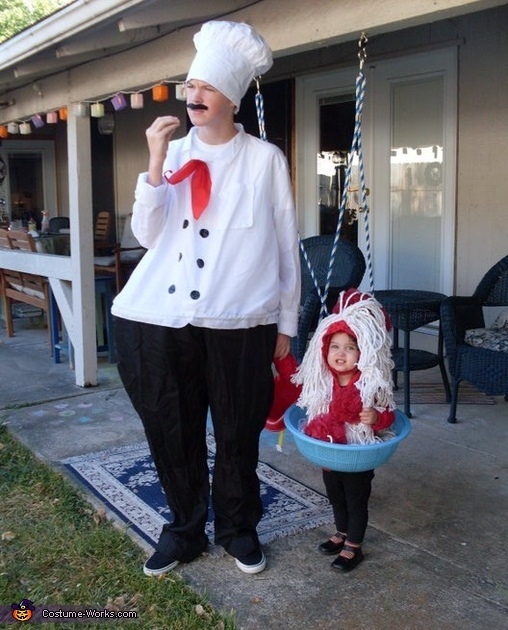 3 spaghetti and meatballs Halloween costumes. 18. 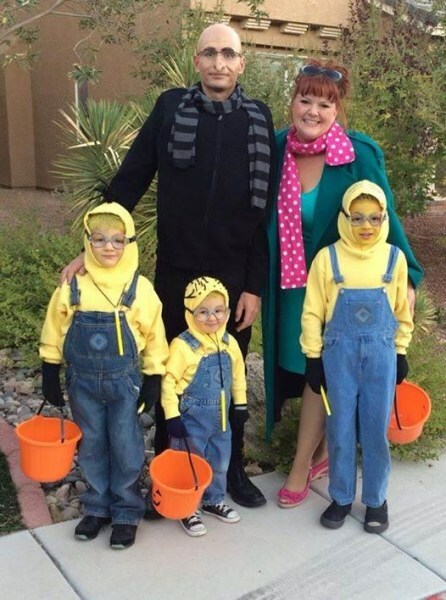 Become the coolest “Despicable Me” – a movie based family costumes. 19. 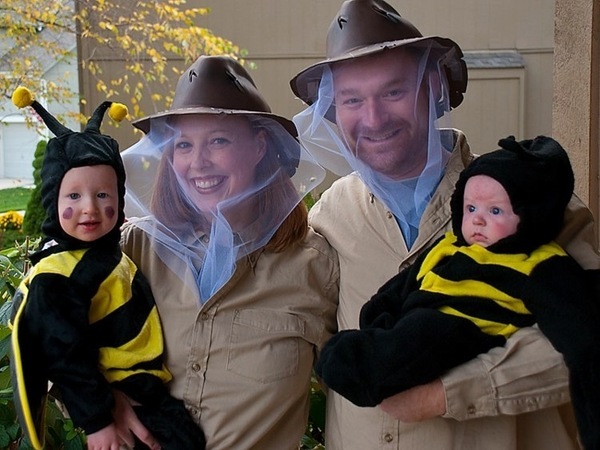 To Bee and Not To Bee – Great family costume ideas. 20. 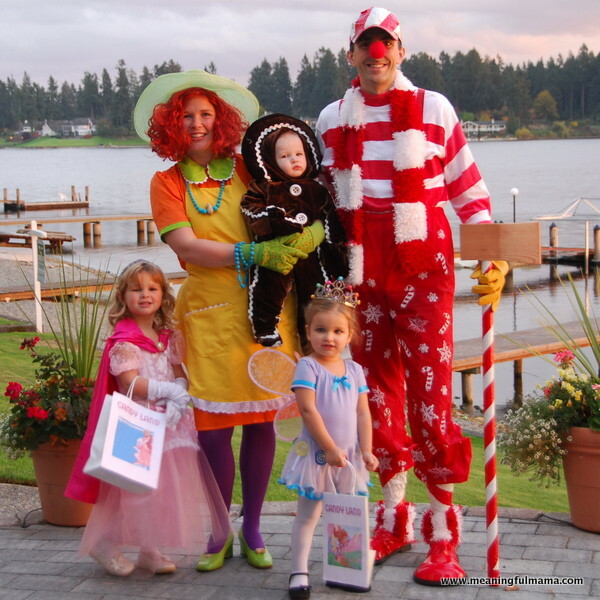 Bring out the creativeness in you with this great family costume idea. 21. Handmade costumes always tend to steal the show. Try it this Halloween. 22. 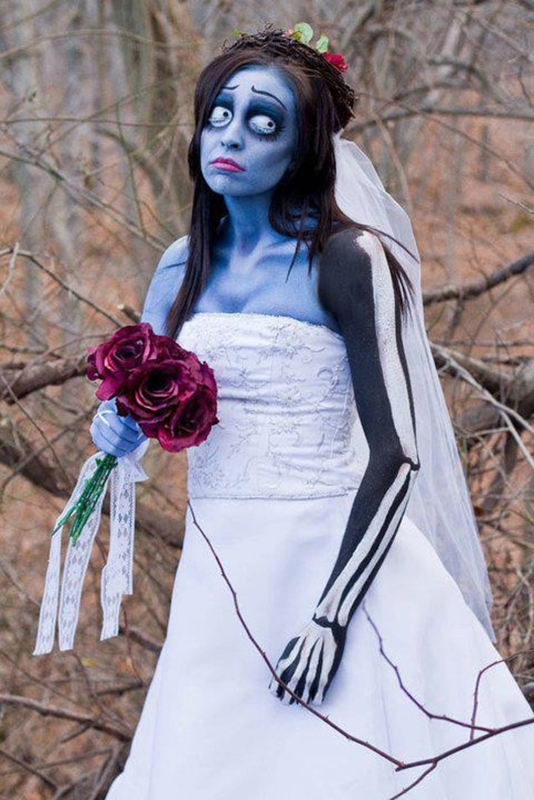 And I thought death will do us apart – well, this Halloween, challenge this idea. 23. Allow the monster inside us to appear on Halloween. 24. 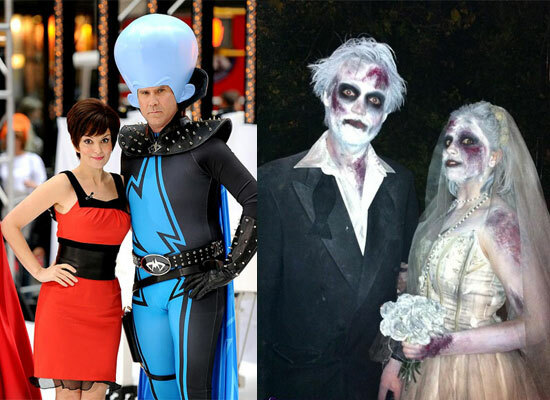 Spooky costume ideas ready to twist people’s minds. 25. Teenager bride with vengeance – Oh, what the world has to bear. 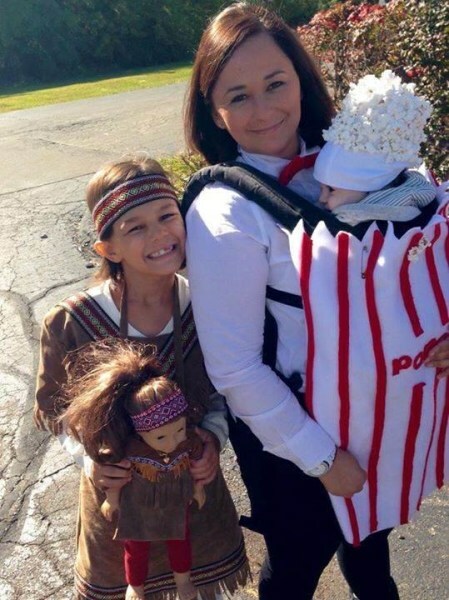 Great costume ideas for young people. 26. Mask and dress like never before. 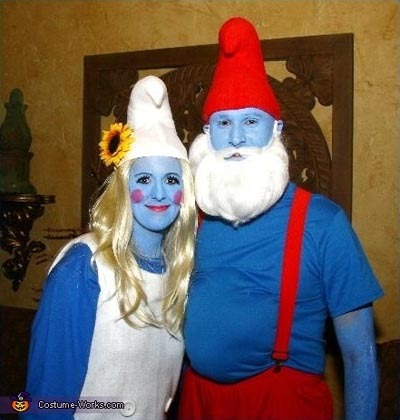 27. Who can forget “Smurfs”. 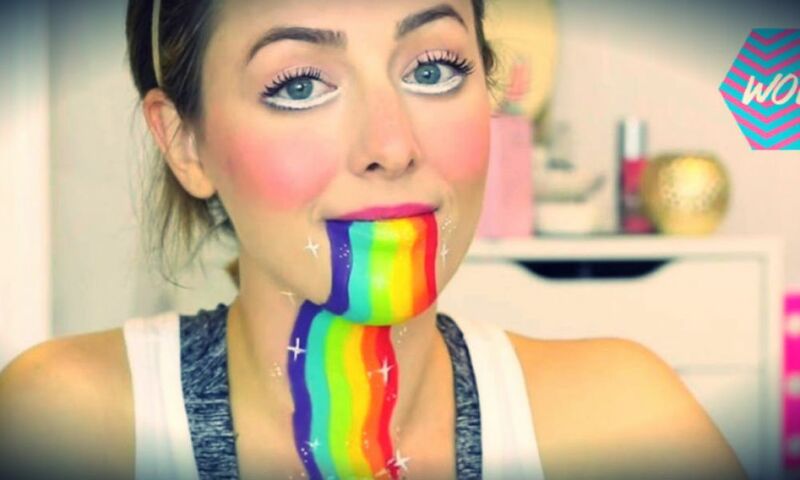 Just try this costume idea this Halloween. 28. 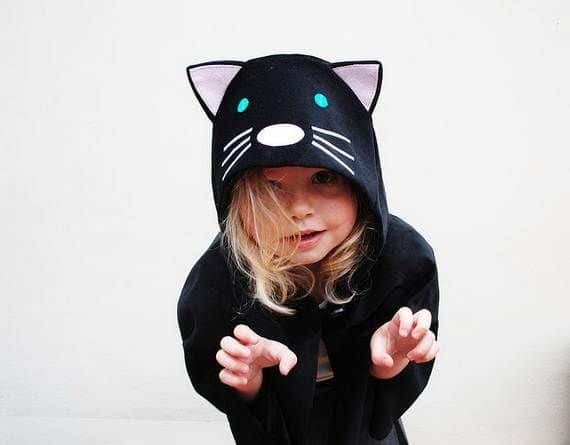 Look cool and scary this Halloween. Who knows you may witness the craziness in the world. 29. Sometimes things can just get out of hands. Scary costumes to shake people’s soul. 30. Unique animal costume ideas for this unique festival. 31. “Witch” way are you going to? 32. The Joker and Dr. Harley- aren’t they a cute couple. Well the joke is on the ones who view you. 33. Scariness isn’t bounded with age. Just create beautiful costumes to look completely different. 35. 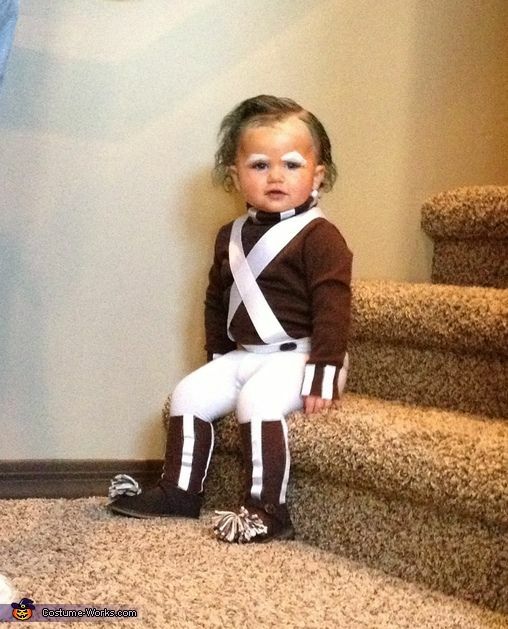 And we thought skeleton costumes are out of fashion. 36. Hunger games and chance to win the tournament. Why not try this out on this Halloween. 37. Deer oh, my deer, what have you done. 38. 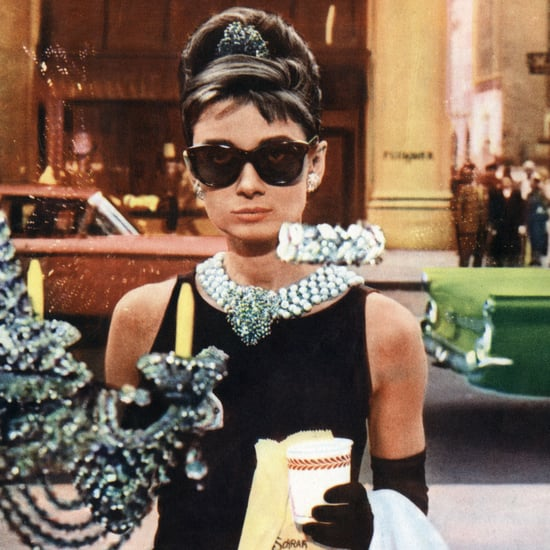 Audrey Hepburn is still the best actress that has lived on this earth. Why not remember her with custom made dress. 39. Scarecrow and its apprentice. Halloween just got interesting. 40. If you are fan of animated movies and zombie based movies, try this for a change. 41. Walking down the aisle just got huge different meaning. 42. As you grow old, you become the kid that you used to be. 43. Spaghetti monster childhood is still a decent show. 44. When Head meets Heart. 45. Be the healthy one and eat your vegetables. 46. 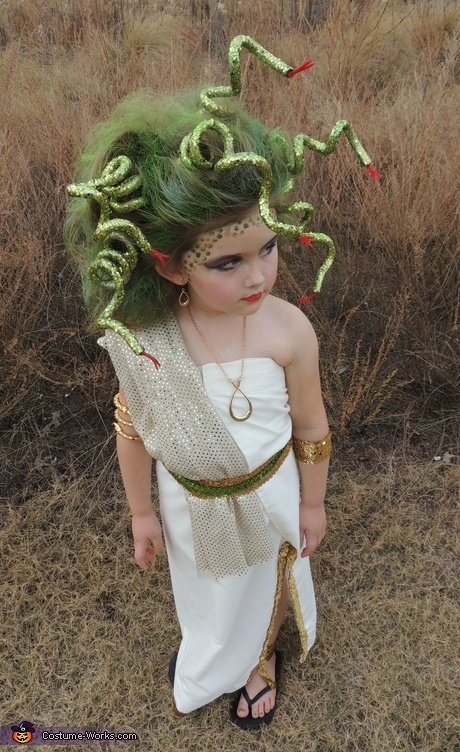 Just another crazy idea to dress this Halloween. 47. Count your chickens – well, they are already hatched. 48. 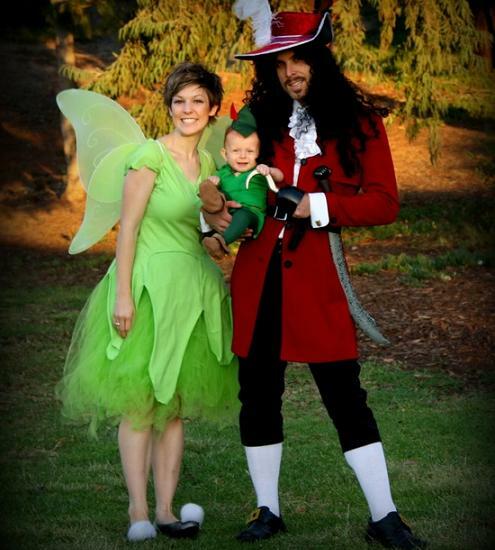 Captain, kid and Angel – does it gets prettier than this. 49. Breakfast costume – Bacon and Egg. Try this to get more candies. 50. Nothing beats an alluring burger.